I got a savage model 93 gv. My first outing with it I was getting 1.5 - 2'' groups at 100. The more I shoot it the better it gets (or I get with it). My last outing shooting at paper I got a few legitimate 1'' groups just using my range bag as a rest. 2 squirrels in the pic were from near 100 yards. It's capable of heads shots at that distance (if I do my part). I got a Bushnell banner 3x12 scope on it. scottync, 5lima30ret, Gabill and 1 others like this. Sold mine. 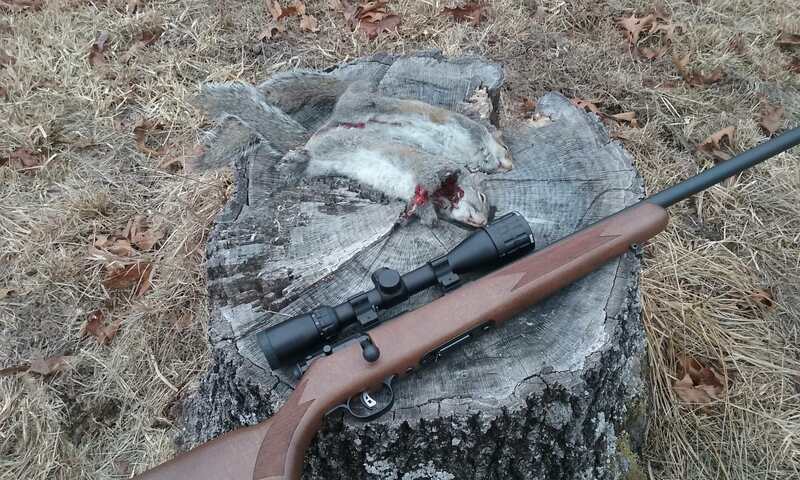 Using a Henry .22 mag these days for critter control. 5lima30ret, Gabill and airslot like this. Nice shooting! Meat for the pot. 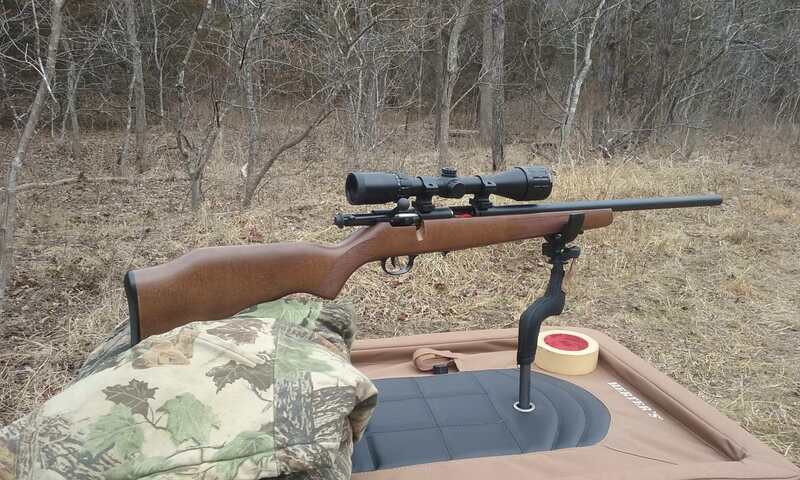 I got a CZ 455 Varminter in .22 WMR a few years ago. I was initially disappointed with its accuracy, but that was also at the height of the Great Rimfire Ammo Drought. Last year I spent some "quality time" with the gun and a better assortment of ammo. It still can't compete with the .22 LR at 50 yards accuracy-wise, but the slap on the 200-yard steel is far more authoritative than the LR's. It's a sweet gun. hotShot and ColoradoDiablo like this. The three to look for in out of the box performance are Savage 93, Marlin 917, and the CZ's. All three right from the box are exelint shooters. All three should be pretty easy to find. The handi rifles , some of them shot great, and some not so great. it was kind of a toss up. I had one that did not head space well, and was prone to light strikes. I rechambered it to 17 Hornady Hornet. Now its a tack driver! My own favorites are the Marlins. I have one with the factory barrel and an upgraded trigger, and another with a Green Mountain bull barrel, new trigger, and a 25X scope. It's my go to when I'm shooting from a solid bench, but it's too heavy to be a walking rifle. It will easily take gopher sized animals out to 200 yds. airslot and Rockymonster like this. The wind always blows in Corpus. 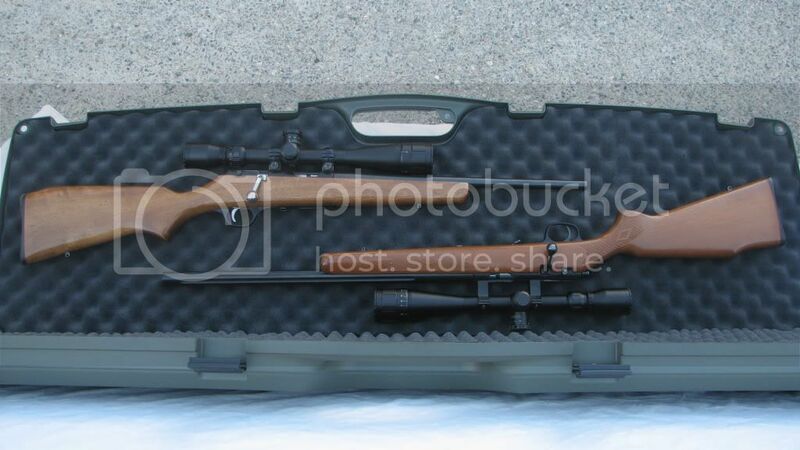 So I went with a CZ 455 22 LR with an additional 22 WMR barrel. Gabill, gasmitty and hotShot like this. airslot, Rockymonster, scottync and 1 others like this.